The Pens woes in Games 1 and 2 have been due to their inability to hold momentum and defensive breakdowns at critical moments. They appeared to have fixed most of that, but what they couldn't fix was a very strong showing by Albany goaltender Justin Peters. 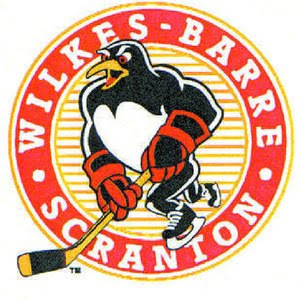 Yes, the same Justin Peters many of you know from his strong showings against the NHL Pens absolutely shut down the AHL Pens making 31 saves and allowing just one Wilkes-Barre/Scranton goal scored late by Chris Conner. John Curry also played rather well for the Pens, but he allowed two goals. Albany's goals were scored by Mike Angelidis and Jerome Samson, both in the 3rd period. The entire game was a goaltender battle, with the teams deadlocked at 0-0 after two. In the third was when Peters really shined saving 14 out of 15 shots including a few critical ones at the end of the game when the Pens had a 6 v 5 advantage after pulling Curry. One notable absence was that of Wilkes-Barre/Scranton's top defenseman Ben Lovejoy who was called up to Pittsburgh to replace Jordan Leopold. Alex Grant was the player chosen to fill in for Lovejoy, and some rookie nerves were shown. This is panic time for the Pens, and they cannot afford another loss. Coming back from an 0-3 hole will be extremely difficult but not impossible. If the Pens can just put a few pucks behind Peters, they can handle Albany and take a few games in the series. They were extremely effective against the Rats in the regular season, so it certainly can be done. It will just boil down to how badly the Penguins want it and how well the goaltenders from both teams play.